Luca Curci talks with the artist Maria-Christina, founder of MC & The 7 Pedals, during VENICE INTERNATIONAL EXPERIMENTAL | OUT OF BORDERS in Venice. 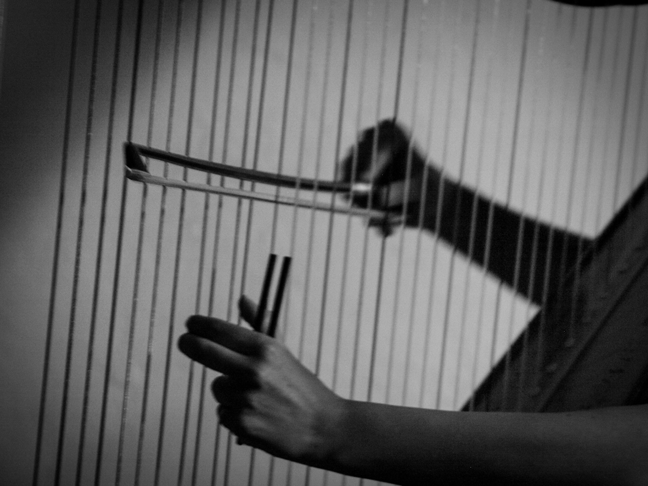 Maria-Christina is a London based electric harpist who likes to experiment. She is the first prize winner of the Wales International Harp Competition,performing her own compositions on the electric pedal harp. MC studied the harp with an entrance scholarship at the Royal Academy of Music. 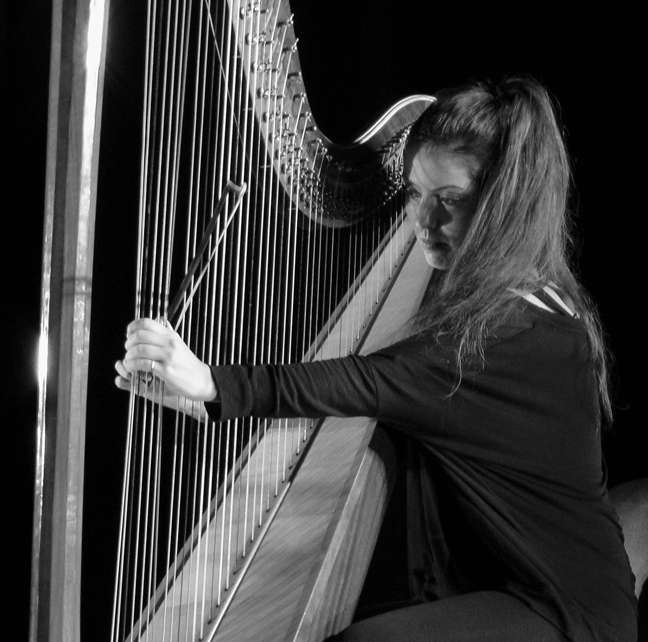 She then continued with an MA in Music Therapy at Roehampton University and now has been working on her PhD on the Contemporary Pedal Harp at Trinity Laban Conservatoire of Music and Dance. MC has performed on Later with Jools Holland on BBC2, has recorded for the BBC Radio 1 studios, and has performed all over Europe.In the UK she has played at the Royal Festival Hall, Queen Elizabeth Hall, The Roundhouse, National Portrait Gallery, The Place Theatre, Bush Hall. She has performed at Montreal Jazz International Festival. She has collaborated with Katie Melua, Alani, Jeremy Reed and Akira Takaoka amongst others. She formed a band, MC & The 7 Pedals, a solo music act where she plays the electric harp with live looping, wah and distortion pedals. She gives concerts and workshops in hospitals, hospices and prisons where she met a rapper and started a Harp&Rap project. They presented their first single and music video in January 2016 and were featured on BBC Introducing. Luca Curci – What is the message linked to the artwork you have shown in VENICE INTERNATIONAL EXPERIMENTAL | OUT OF BORDERS? How is it connected to the theme of the event? 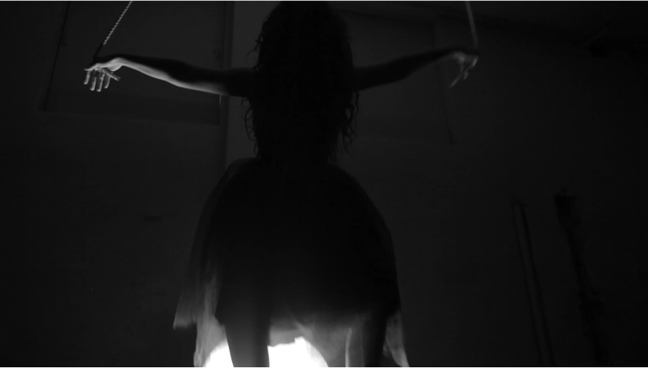 Maria-Christina – In this event I participated with a music video. How does ‘the evil of the world’ sound like? Inspired by the Greek myth of Pandora with a twist. Inside Pandora’s box the Gods had locked all evil until one day Pandora opened it and released the evil in this world. How did it sound when the box opened? An artistic exploration that plays with visual and audio extremities. It presents the harp, an instrument usually found in luxurious settings, in an abandoned, ready to be demolished space. A ballerina, usually a symbol of beauty and pureness in white, is dressed here in black and is more enigmatic, almost scary. The story challenges gender stereotypes visually and audibly, questioning gender in art and even religion if one links Pandora opening the box of evil with Eve taking the apple. Can there be such thing as gender-neutral? Is there a way to demolish preconceptions? For me, these questions work perfectly with the concept of Out of Borders. M.C. – I am an artist who likes to experiment. I play the electro-acoustic pedal harp and I am interested in finding ways of exploring the instrument and placing it visually and audibly into the modern art world. I find inspiration in noise and silence, revisiting the past and disturbing the stereotypes. M.C. – Experiencing life with its highs and lows. A concept that I am interested in will constantly evolve in my mind even when I am unaware of it. When I feel I have enough “material”, then it starts taking shape. M.C. – It did. It still does. My art is connected to my personality. As I develop, my art develops. Pushing boundaries, challenging audiences and exploring violence as a means of art have been the core of my artistic research. M.C. – There is conscious and the unconscious. If a “9 to 5” office job is the conscious, then the artist is the unconscious part of the society. Through art, one can identify the socio-economic and political stateof any historical period. When we get to the point where society is influenced by art, instead of art being a response to events occurring within any culture, then we will be closer to creating a ‘successful’ society. M.C. – It is important to have “platforms” that encourage interdisciplinary art.It’s LIQUID succeeds at including a variety of themes from artists from all around the world. M.C. 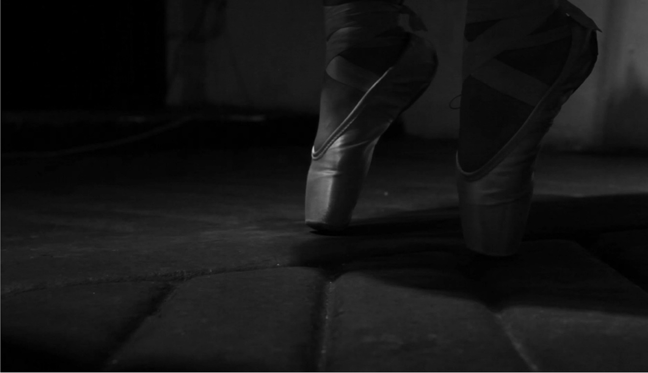 – My video is featured at Palazzo Ca Zanardi in Venice. The video is black and white and can be audibly and visually disturbing. 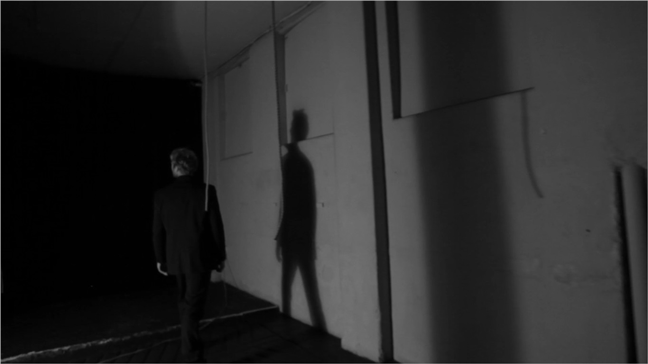 The pleasing aesthetics of a palace environment contradict the essence of the video. These extreme opposites inspired me to be part of the Venice Experimental Art Festival.